Discussion in 'Ancient Coins' started by David@PCC, Mar 12, 2019. The first two are already known and published. Both from cngcoins.com. 350, Lot: 280. Estimate $200. SELEUKID KINGS of SYRIA. Antiochos X Eusebes Philopator. Circa 94-88 BC. AR Tetradrachm (28mm, 15.55 g, 1h). Antioch mint. First Reign, struck 94 BC. Diademed head right / Zeus Nikephoros seated left, holding lotus-tipped scepter; [monogram and A] to outer left, monogram below throne; all within wreath. SC 2429.1c; HGC 9, 1287 corr. (without sideburn). Good VF, toned, tight flan. 367, Lot: 262. Estimate $300. SELEUKID EMPIRE. Antiochos X Eusebes Philopator. Circa 94-88 BC. AR Tetradrachm (27mm, 15.75 g, 12h). Antioch on the Orontes mint. First Reign, struck 94 BC. Diademed head right / Zeus Nikephoros seated left, holding scepter; monogram above A to outer left, monogram below throne; all within wreath. SC 2428 var. (unlisted upper left control and A below throne); HGC 9, 1287. Good VF, lightly toned. Unpublished variety. And thirdly my coin which has something between the two. Similar type as the other two except for the distinction of the hair. I only take notice because Arthur Houghton, Catherine Lorber, or Oliver D. Hoover make a clear differentiation between long or no sideburns. Then came this coin from this months auction showing an obverse similar to mine. 439, Lot: 134. Estimate $200. SELEUKID EMPIRE. Antiochos X Eusebes Philopator. Circa 94-88 BC. AR Tetradrachm (26mm, 15.55 g, 12h). Antioch on the Orontes mint. First reign at Antioch, 94 BC. Diademed head right, with short sideburn / Zeus Nikephoros seated left, holding scepter; to outer left, monogram above A; monogram below throne; all within wreath. SC 2428d var. (long sideburn) and 2429c var. (no sideburn); HGC 9, 1287 corr. (some without sideburn). EF. Unpublished variety. The authors of SC specifically note that the obverse portrait on this issue has a “long” sideburn (as SC 2428) or “no” sideburn (as SC 2429). The illustrations of the “long” sideburn show it extending far down the jawline, so this coin, with a sideburn extending just below the ear, certainly does not qualify under that description. At the same time, the illustrations of the “no” sideburn coins show not even a hint of a sideburn, so this coin also does not fall under that variety. Clearly, there is a need for a new variety, noting a “short” sideburn. So my question is answered, which is it is an unpublished variety. Here are the 3 side by side for comparison. For those of you that have read this far I congratulate you. In order to get more than 5 people to read this post I've attached a poll to see which of the 4 is their fave, to get some interest going. Of course #4 would have to be this one. Feel free to post any hair styles of rulers or of yourself if you wish. DEA, Marsyas Mike, chrsmat71 and 19 others like this. TypeCoin971793 and Kasia like this. When I was young, I had no sideburns. Then in my senior year in HS, they started making me shave. After HS I started growing a beard which I had for many years. 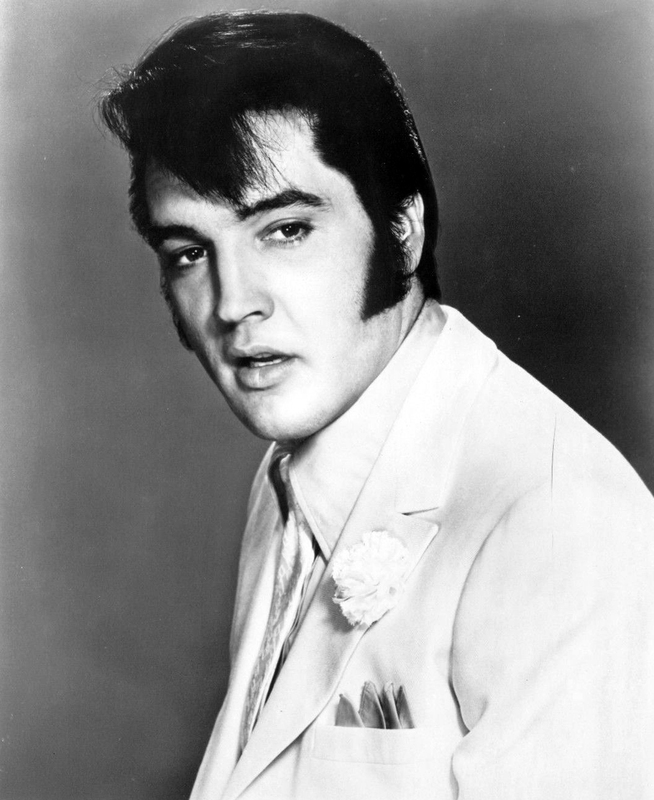 Then, after I shaved the beard, I grew mutton chop sideburns for a while, then I grew the Elvis style, then I had the medium, and now that my sideburns would be white if I grew them, I grow none. So, to answer your question, I like them all. But, since you didn't provide for that answer, I didn't vote. Wise decision! Always follow your gut! Hookman, BoonTheGoon and Kasia like this. Hookman, Hispanicus, zumbly and 12 others like this. It is the most important question in classical numismatics to be answered today. David@PCC and Roman Collector like this. Now this is a sideburn that is attractive. Longer ones and thicker ones are not. chrsmat71, TIF, Johndakerftw and 1 other person like this. Strange how the sideburns on all these Seleukid coins look less beardlike and more like sidelocks. Perhaps they are connected to this Egyptian tradition. Obviously the curly appearance could have just been a stylistic choice adopted by the engravers. But there are plenty of other Hellenistic beards that don't look like this at all. TIF, David@PCC, medoraman and 1 other person like this. Yes, I always took them for sidelocks like certain types of Jewish people wear today versus any sideburns. TIF, Kasia, David@PCC and 2 others like this. Very interesting. I like the long sideburn variant, it looks special and you don't see it very often on portraits. Something I haven't considered I remember that style from the 'The ten commandments'. It also reminds me of that, I believe they call it a payot. You're right is is a scarcer variety compared to the no sideburn variety. Maybe 60+ in archives of those versus just a few of the long sideburn. chrsmat71 and Archilochus like this. A bit more googling turned up some possible answers. There is a paper by Lorber & Iossif 2009 called "Seleucid Campaign Beards." It is well worth a read. The gist of the paper is that the Seleukid kings often grew beards during military campaigns, and then represented it on their coinage. The authors link a number of Seleukid beards to specific campaigns. They point out that many other ancients did this as well, for example, Mark Antony & Octavian in their pursuit of Caesar's assassins. So the first possibility is that the longer sideburns are campaign beards. action item: somebody please start a thread on campaign beards. That would be fascinating! This sounds to me like what we're looking at on the Antiochos X coins. He was a young ruler, dying at the age of ~23. He didn't launch any major campaigns per se; his time was spent trying to stabilize his rule. TIF, Kasia, TypeCoin971793 and 1 other person like this. That's some good research @Archilochus , I will read the paper. Wasn't aware of it! This is very likely why we see the style we do. I will have to look at my examples and see if I have any bearded portraits that correspond to military campaigns. an ancient term referring to coins. Heavymetal, David@PCC and Archilochus like this. This is interesting. I just was looking into what the tassels or tails were on the Roman coins I was looking at (City Commemoratives) and where Roma had on a crested helmet and the answer may be that 1) the crested helmets had horsehair as the crested part, and 2) the tassels/tails coming off there seem to also maybe be horsehair and represent actual hair for the person (virtual hair extensions) and represented manliness. This would fit in with the idea that the sidelocks were there in battle but not otherwise. Basicallly a battle decoration symbolizing maybe manliness and bravery and courage to face an enemy? Would love to hear any thoughts on this, and perhaps this was a longstanding 'tradition' that Constantine and other Roman era people continued. This (above) is just preliminary for me, I don't have much to back it up yet. Bold sideburns with a light beard halfway down to his chin. FORT REDVX, Fortuna seated left holding rudder and cornucopia [weak die and strike.] By the way, I wonder how NGC would number the strike? On this one the obverse and reverse have much different quality and it is not due to wear or surfaces, just the strike. But they give only one number to the strike. This coin is an argument that they should have individual numbers for each side. For me, this might be a "Strike 5/2." David@PCC, PeteB, chrsmat71 and 3 others like this.